Made by one of one of Europe's oldest ammunition manufacturers, this 7.62x39 offers target pounding accuracy for an affordable price. 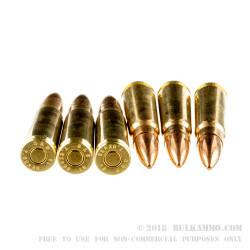 These 7.62x39mm cartridges feature reloadable brass casings with 123gr FMJ projectiles. The projectile is free of steel and other magnetic metals that are typically prohibited on the range. 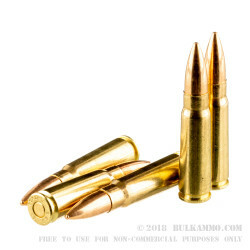 The muzzle velocity of these rounds sits right at 2421 fps, and the muzzle energy of 1601 ft/lbs produces a hearty kick. The brass casings are filled with non-corrosive primers and clean-burning powders that won't corrode your barrel. 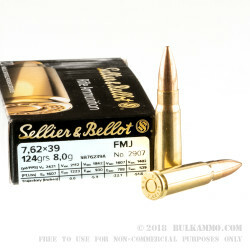 This Sellier & Bellot ammo is a perfect non-magnetic range option for shooters searching for cheap 7.62x39mm practice cartridges. Order your 20-round box today! Q: Is this a corrosive ammo? Is it solid brass? A: Hello Dennis, This ammunition is loaded with all non-corrosive components. It is loaded in a brass case with a copper jacketed, lead core bullet that does not contain any steel. 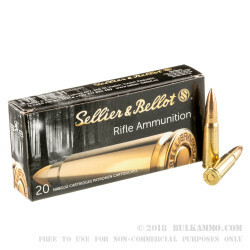 A: Hello Ken, The Sellier and Bellot ammunition features a standard copper jacket. This means that it does not contain steel and should have no issues passing a magnet test.